My name is Renee. I'm 22 and I love to play football. All kinds of football: Touch, Union and also Gridiron (or also known as, American Football). And it's because of my love for football that you're reading this. 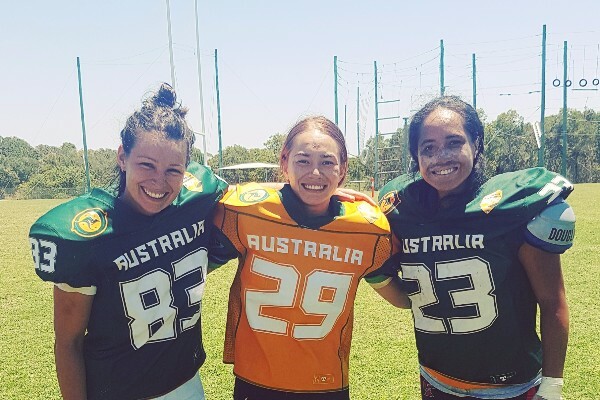 Recently I spent a week trialling for the FIRST EVER Australian Women's Gridiron Team. And my gosh was it hard. After some testing, 5 hours of training for 5 days, and a 3 hour scrimmage (practice game) I had been taken to new heights, learnt some amazing things, met some lovely people and got to play the game that I love. Even this experience in itself was utterly amazing and by being there I was making history. Even more recently, I was selected, yes, selected for the FIRST EVER Australian Women's Gridiron Team. This is the first Women's Team for Gridiron to represent Australia and to be able to say I am a part of it is truly humbling. I feel so honoured to have the opportunity to showcase my skills for my country, my teammates, my coaches and my friends and family. The International Federation of American Football (IFAF) Women's World Championship is where I will be heading in June 2017 to compete. There is 6 teams competing in the Women's World Cup including: USA, Great Britain, Mexico, Finland, Canada and Australia. This time round the Women's World Cup will be held in Langley, Canada which is about an hour out of Vancouver (or so I'm told). However, as amazing as this experience sounds it is entirely self-funded. Due to lack of awareness of the sport there are little to no sponsors to relieve some of the financial burden. I would love to be able to travel to Canada, respresent my country, make history in the process, play the game I love and bring home a medal. But for me to have the opportunity to do that I require your help. 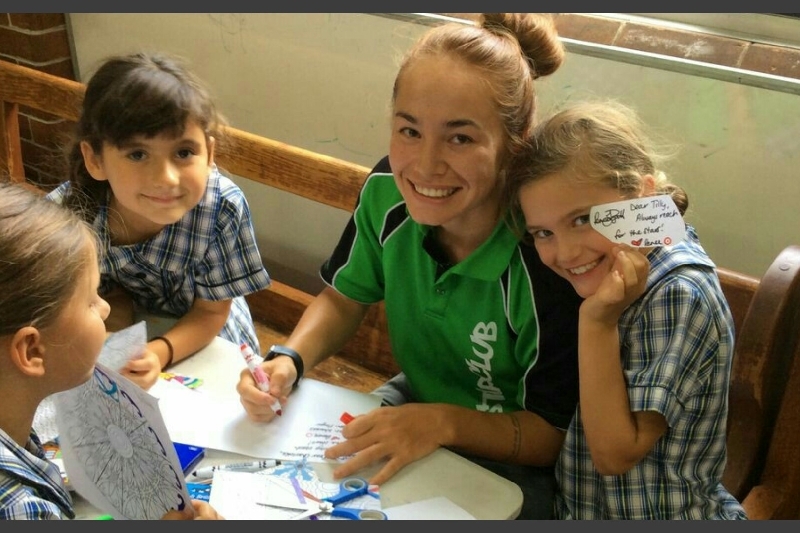 Your donation will help me register for the Women's Australian Gridiron (Outback) team. This will include: registration fees, accommodation, merchandise, ground fees, air travel and meals, etc. Every athlete would love to be able to say they have represented their country and this is why this campaign is so important to me. It would be my dream to make history and help pave the way in women's sport. No donation will go unappreciated. And not only am I doing this for myself, but with your support I'll also be doing this for you too. 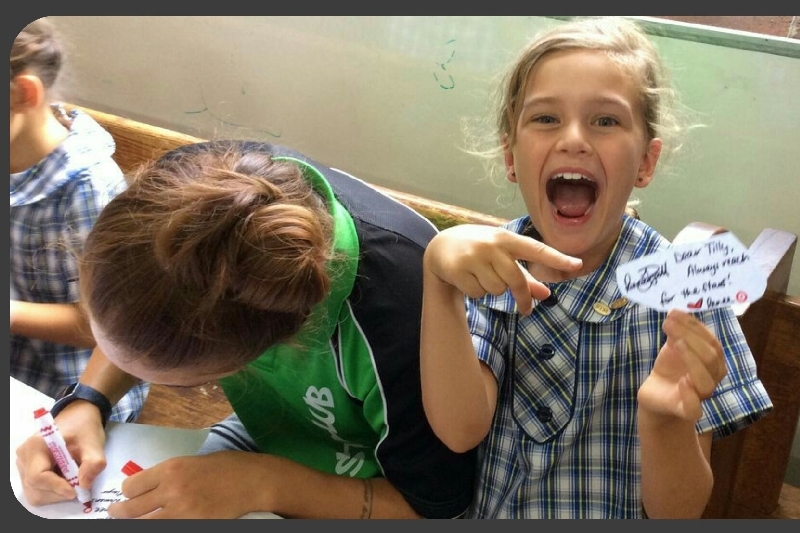 Such an amazing feeling sharing the news with the kids at school today! Not only did they cheer and shout (and also ask if I was pregnant... but this was when they were guessing my news haha!) But they even called me famous and asked for my autograph. I honestly could not describe the overwhelming joy I felt for them to look up to me the way they did and get me to write my autograph multiple times! Plus, the kids got cake and who doesn't love cake?! P.S. Permission has been given for all children pictured here. Check out this video of my workout yesterday when the weather was nicer. I try to utilise the resources around me with some additional bought equipment. The focus yesterday was strength and cardio with some step ups, planks, deadlifts, single leg split squats (not pictured) and backpedals and sprints with some skipping to warm up. If you can spare anything at all it would be greatly appreciated and I will make sure it all goes towards doing Australia proud at the World Cup in June!